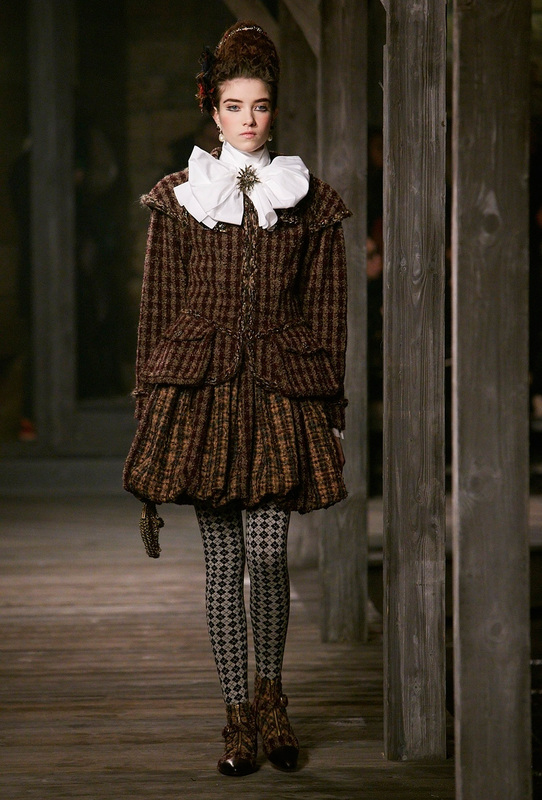 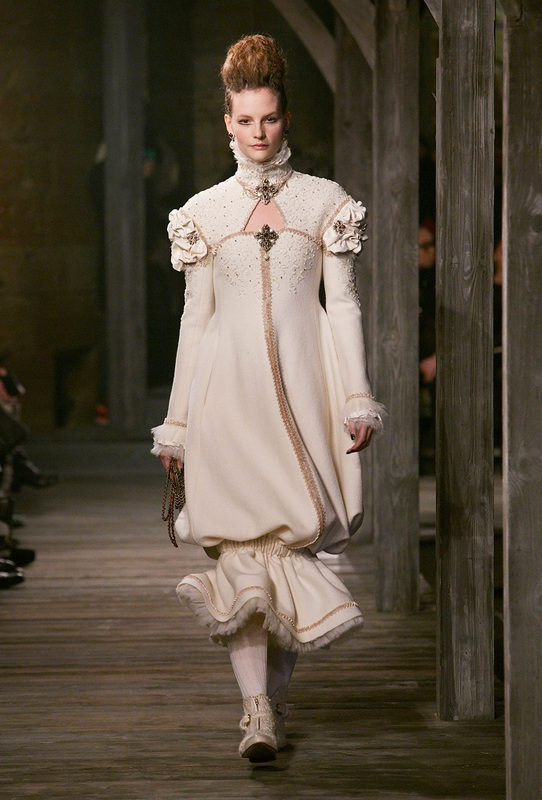 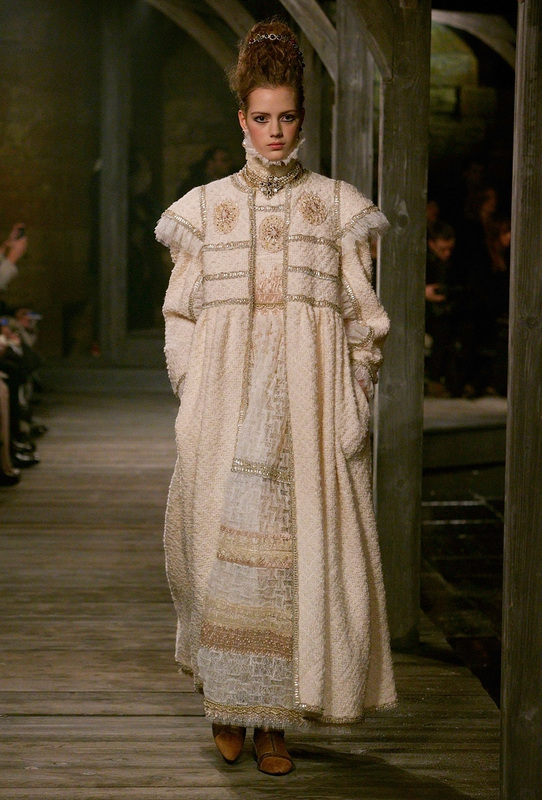 The interweaving of the threads of a double history—gutsy, outdoorsy, layered casualness played off against high Elizabethan-accented ruffled necklines, doublet corsets, and ballooning sleeves—gave the “Paris-Édimbourg” collection a multidimensional groundedness and authenticity. 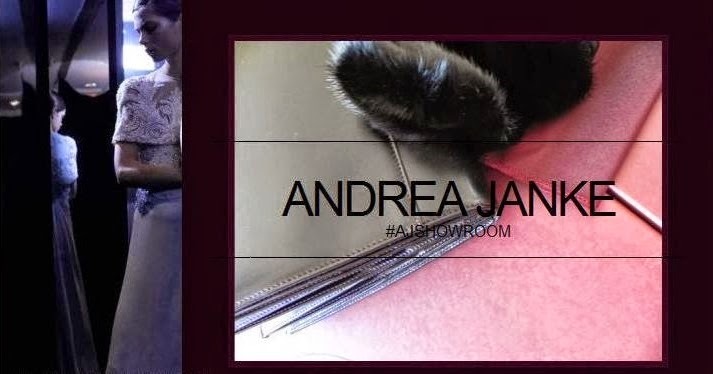 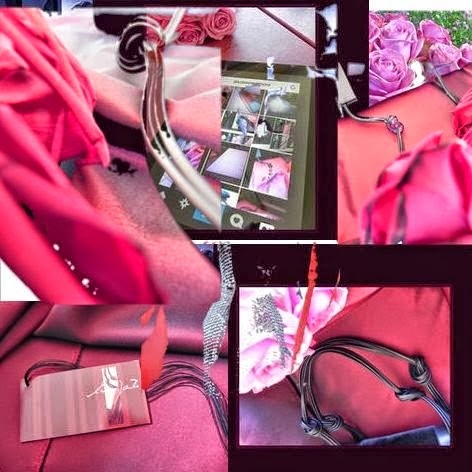 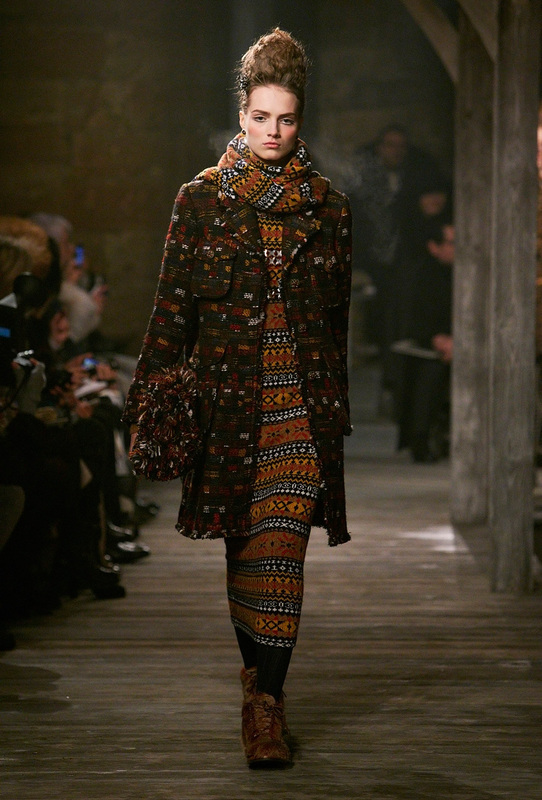 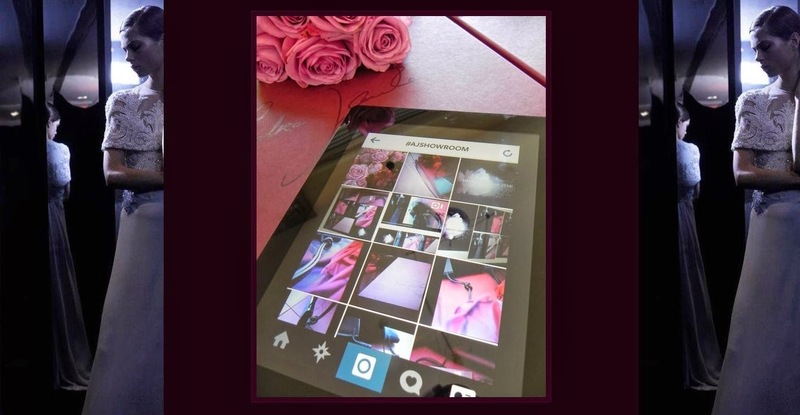 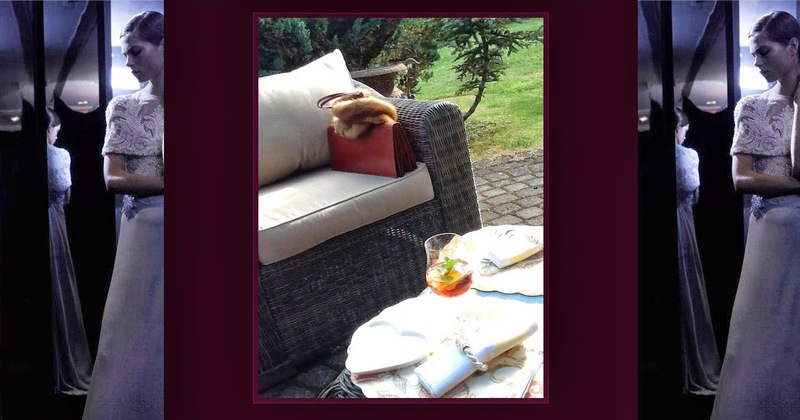 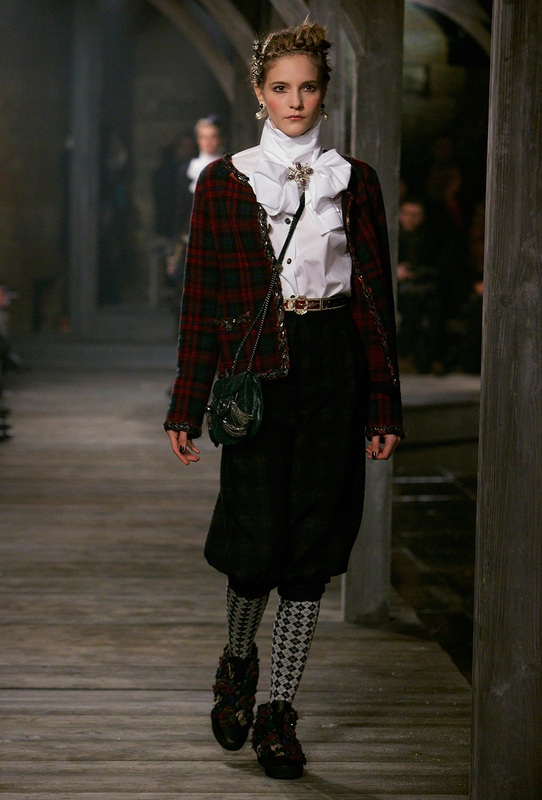 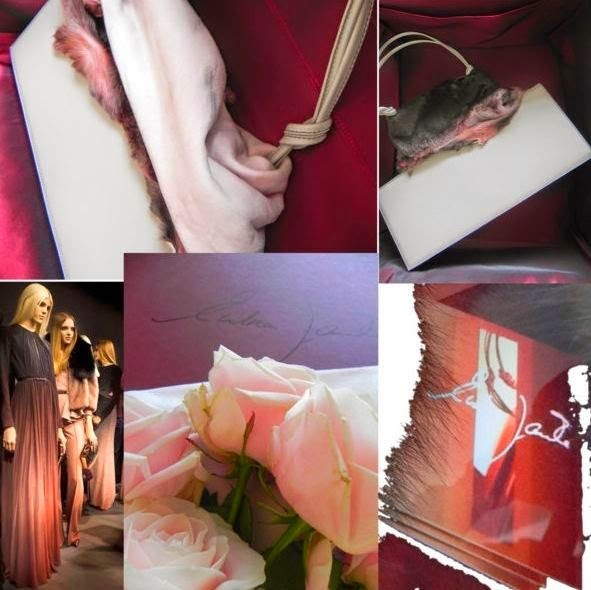 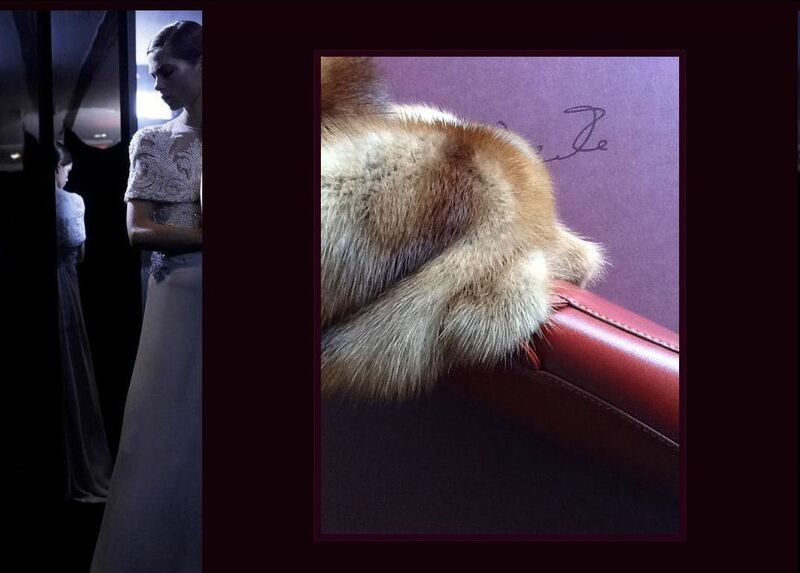 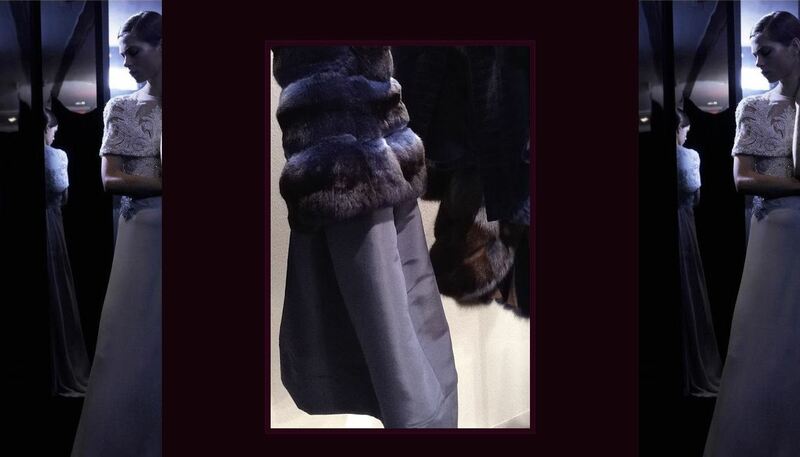 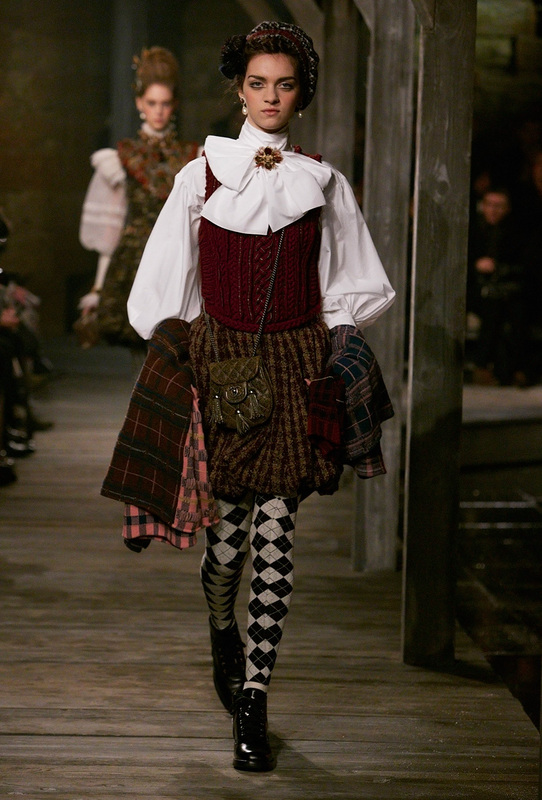 All the girls walked in flat boots, wearing modern variations on kilts, tartan trews, and Chanel suits, the shapes recalibrated with short puffy skirts and the necklines tied in chicly exaggerated silk cravat bows. 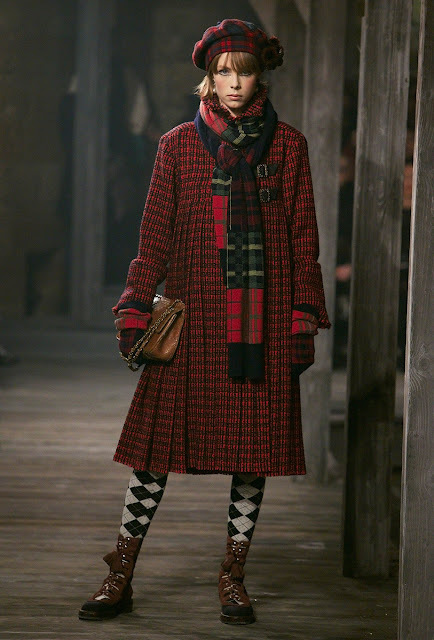 Broken down, there were tons of shoppable bits and pieces, too: chain-circled, tam o’shanters, bags shaped like miniature sporrans, hip flasks or poacher’s pouches, funny argyle tights, chunky Fair Isle scarves, and gauzy plaid throws. 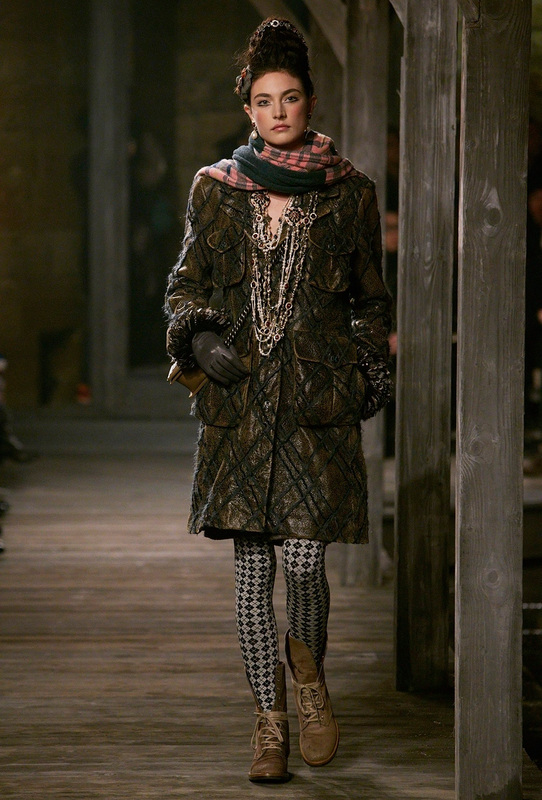 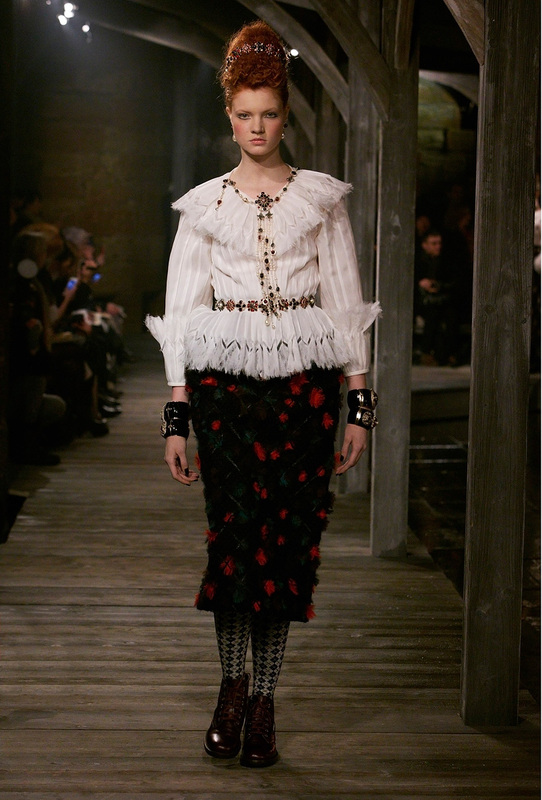 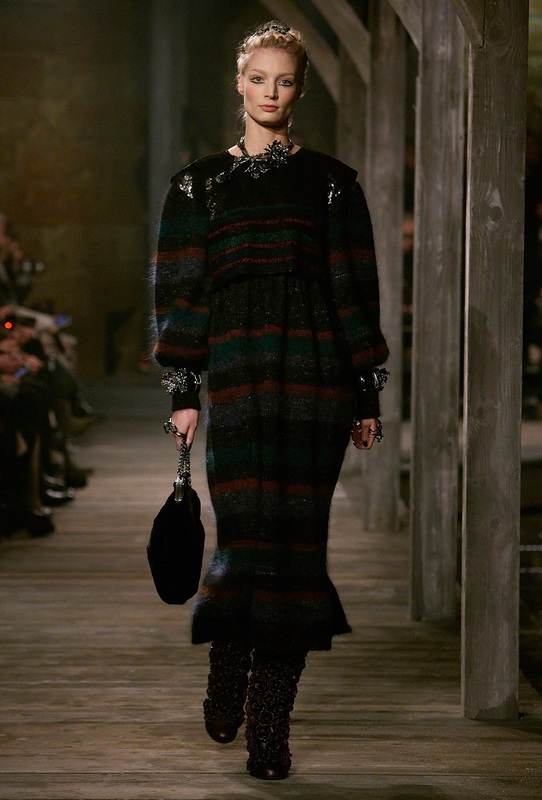 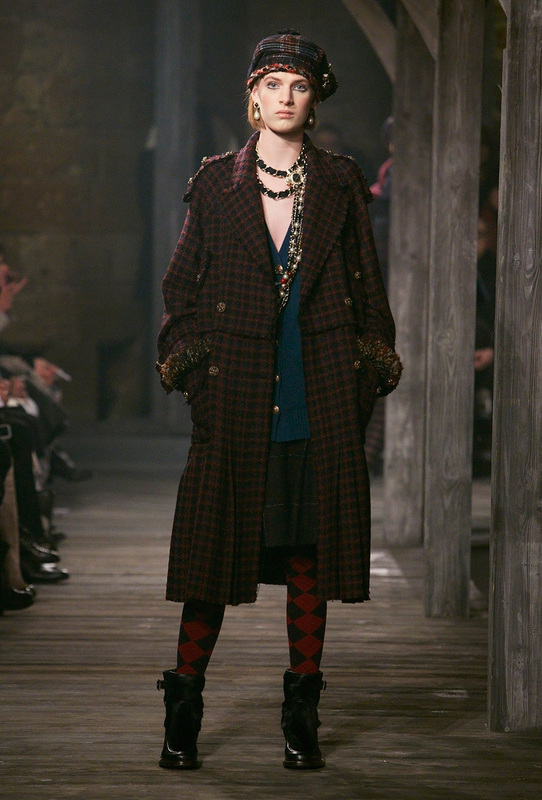 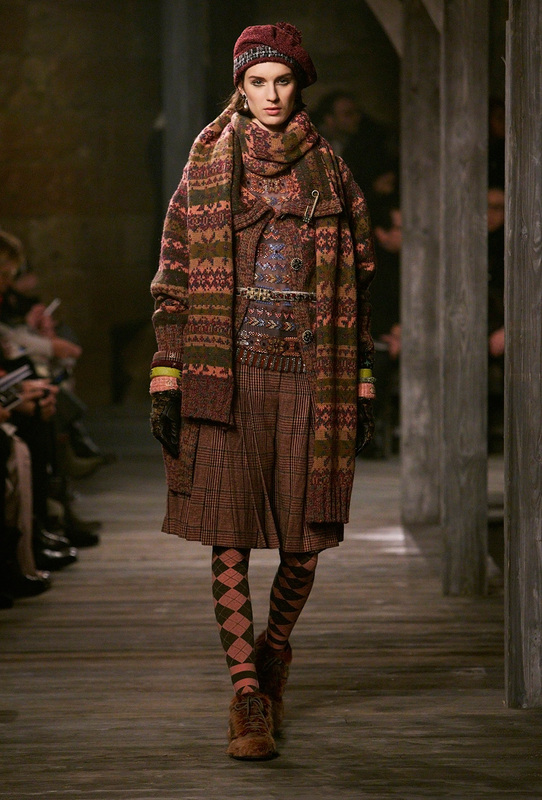 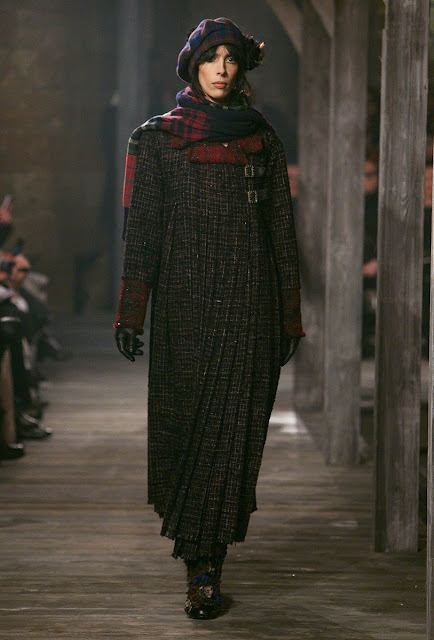 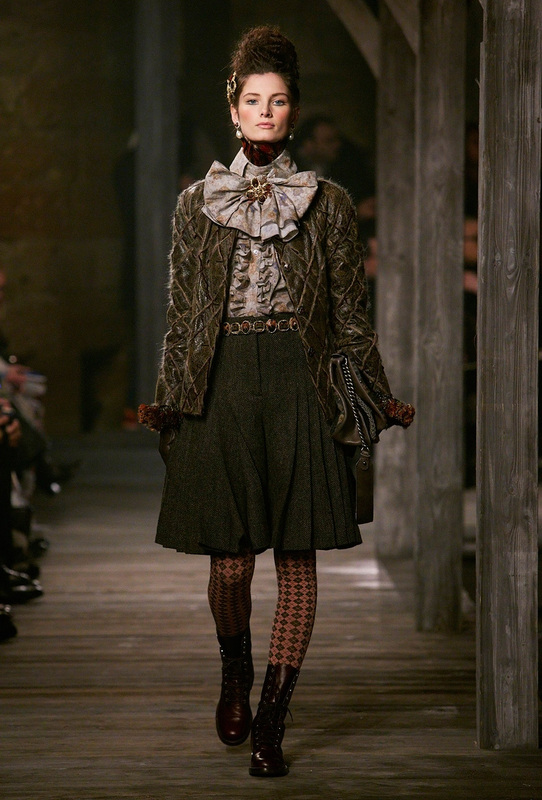 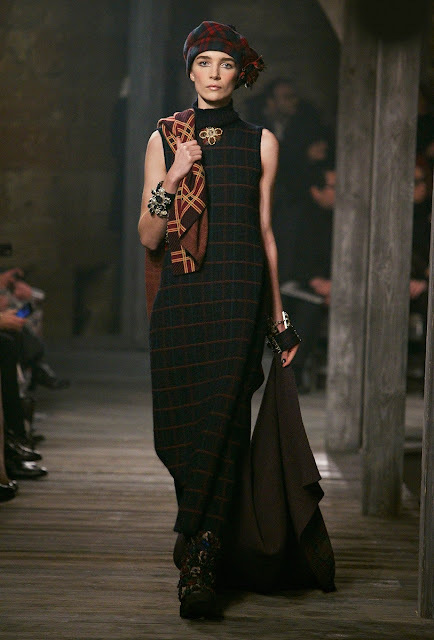 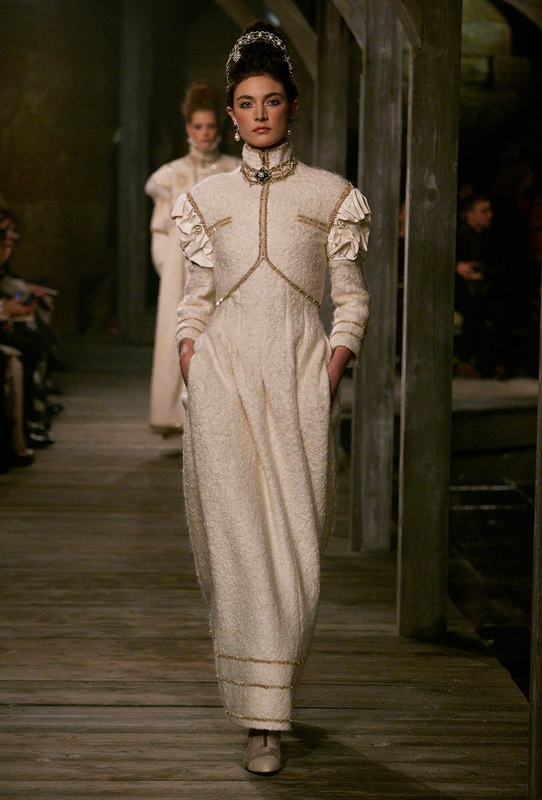 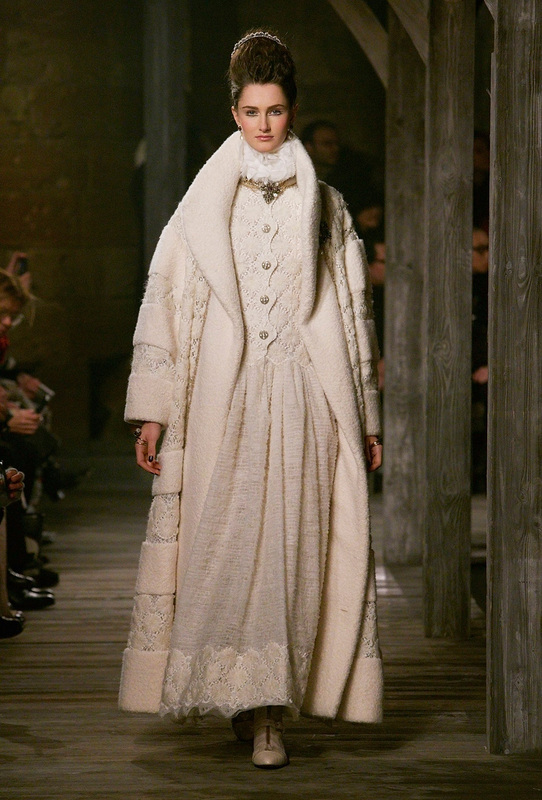 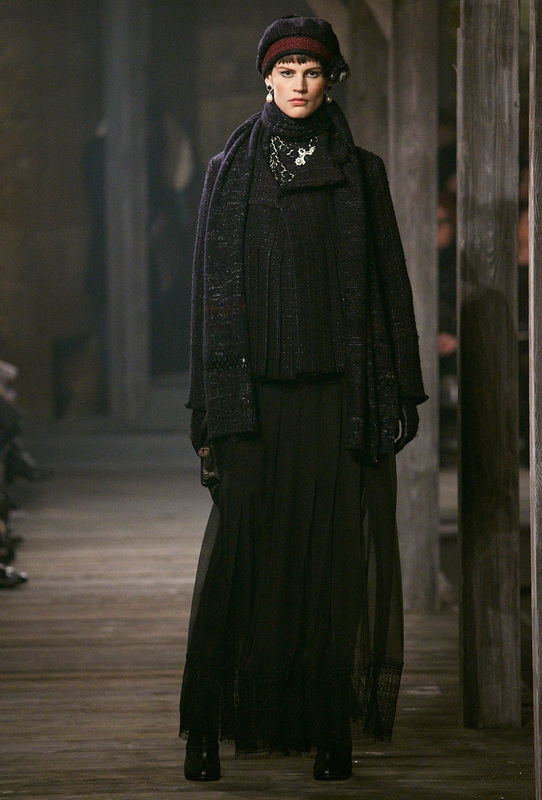 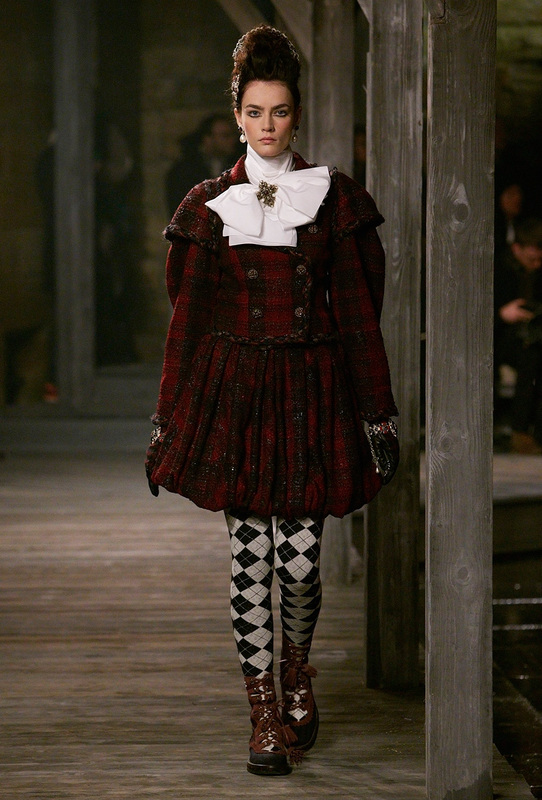 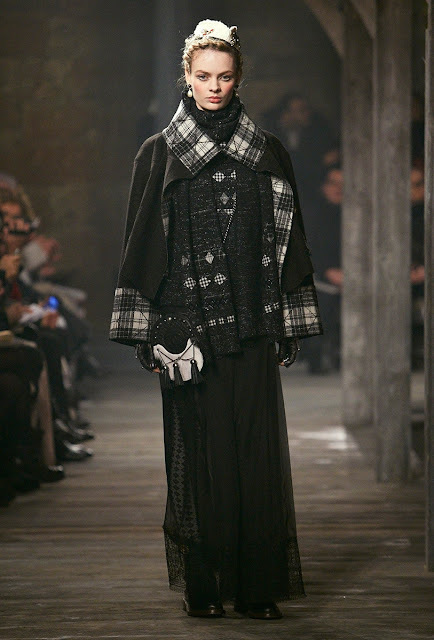 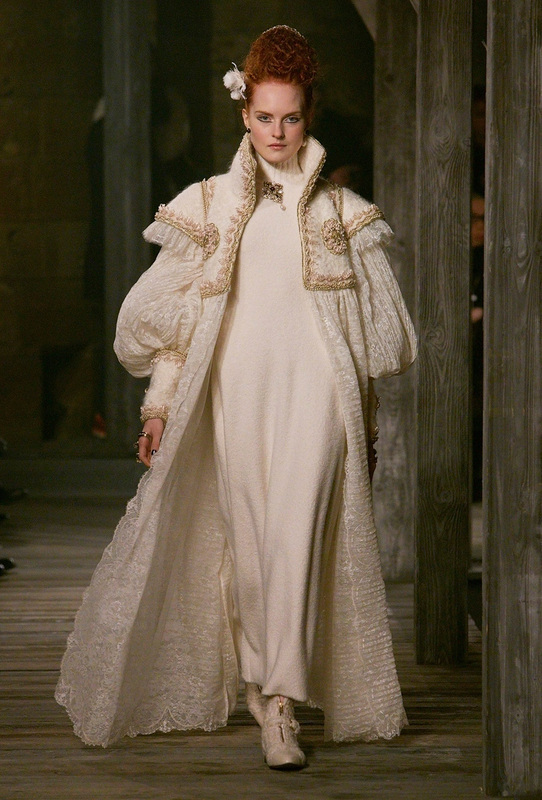 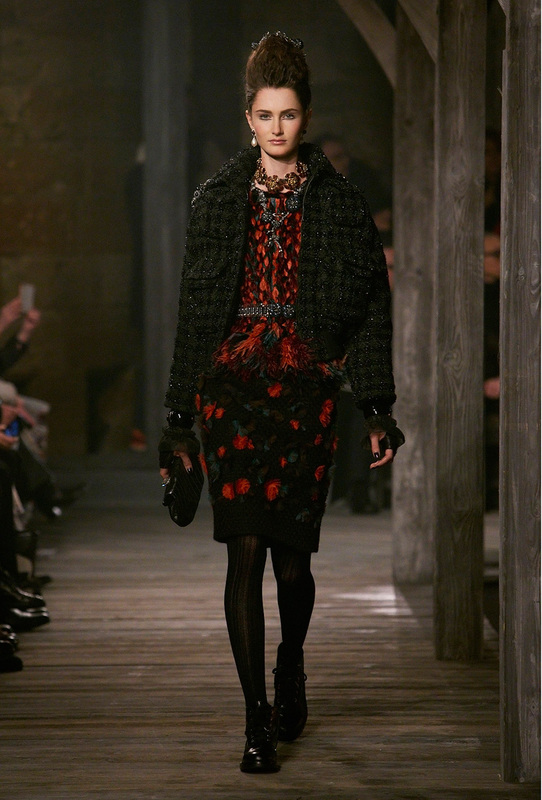 Still, for all the surrounding spectacle with the castle, the pipers, and the glass citadel built for dinner, it was of an order to boggle minds the best thing was that the clothes simply served as a reminder of what’s made Chanel great all along. 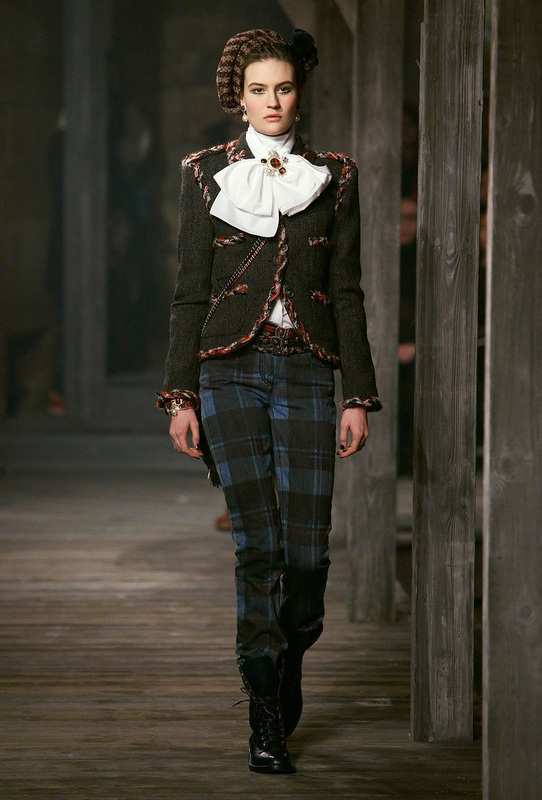 That started, of course, when Coco Chanel’s lover the Duke of Westminster initiated her into tweed hunting and fishing jackets and cashmeres, Fair Isles, and Shetland knits in the twenties she often purloined her lover’s clothes to wear on their Scottish Highland holidays. 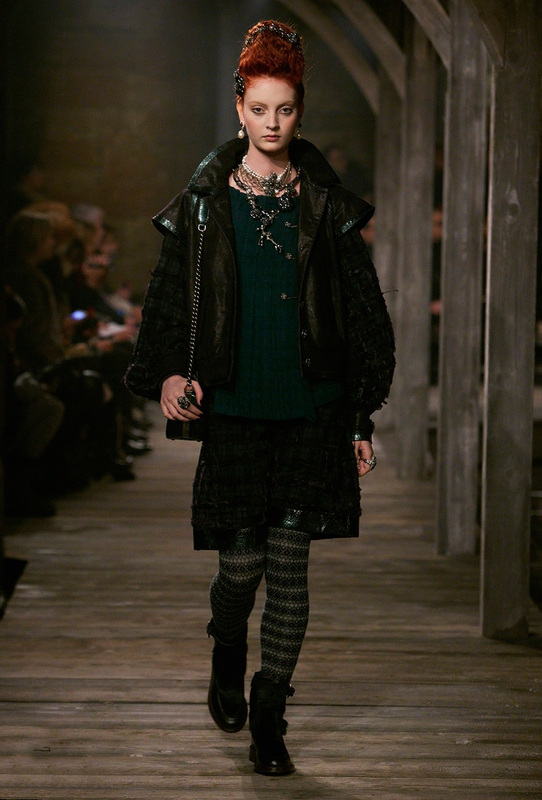 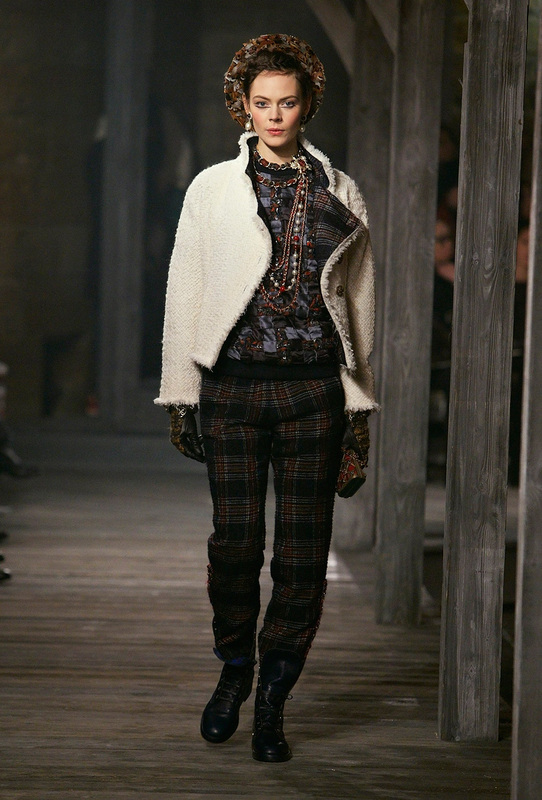 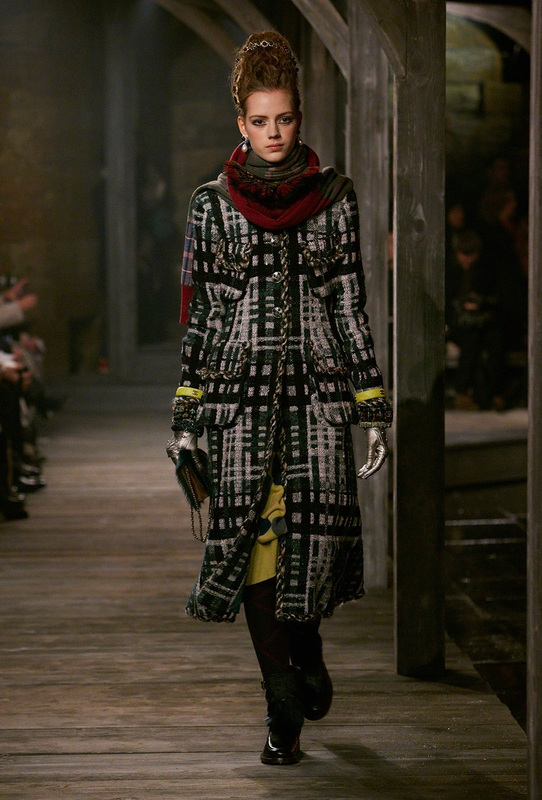 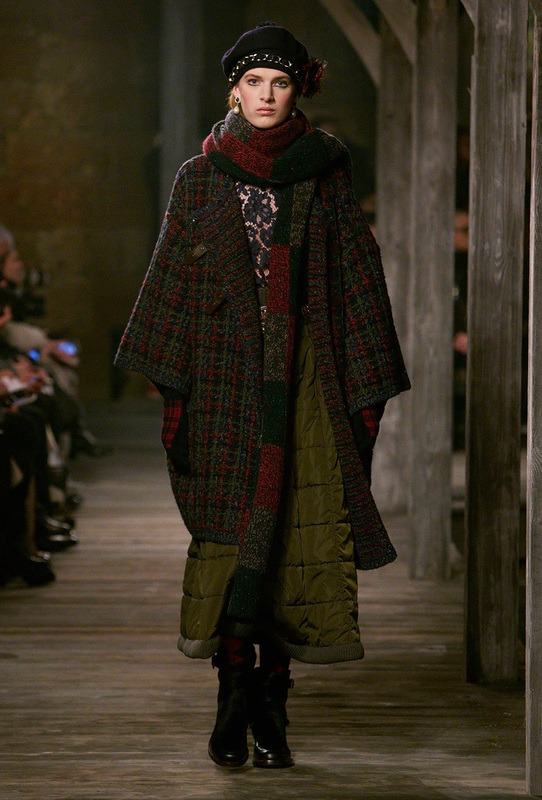 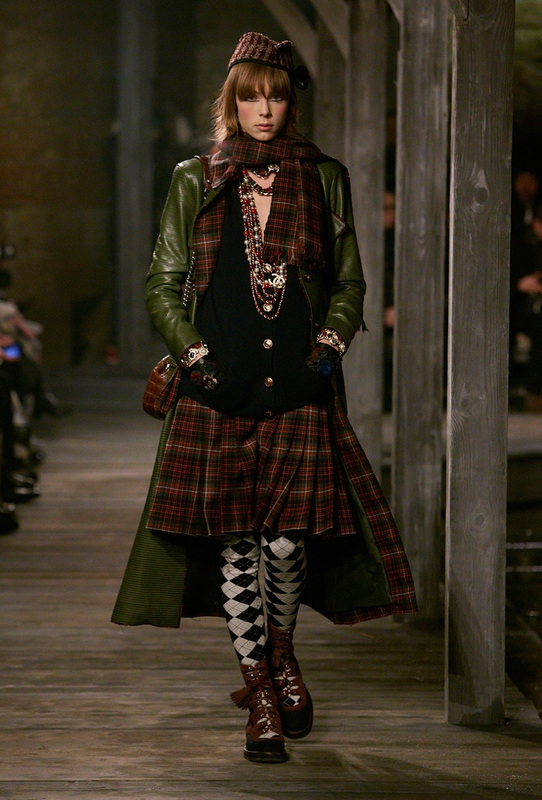 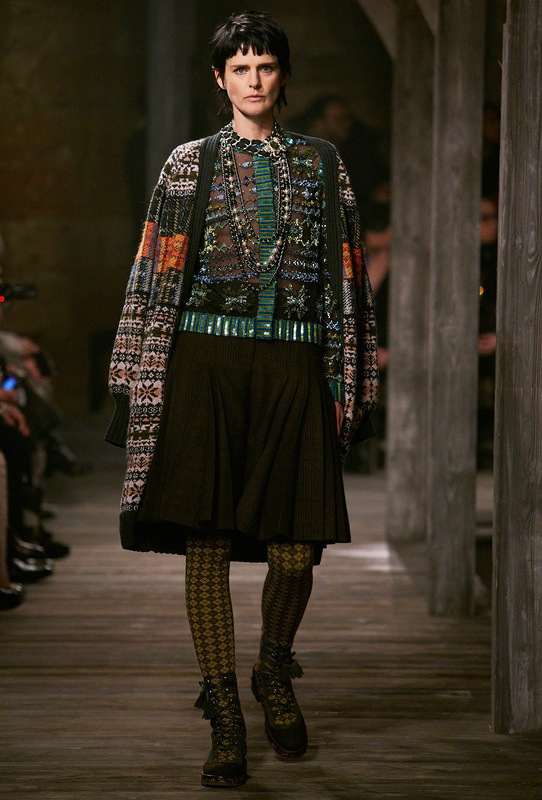 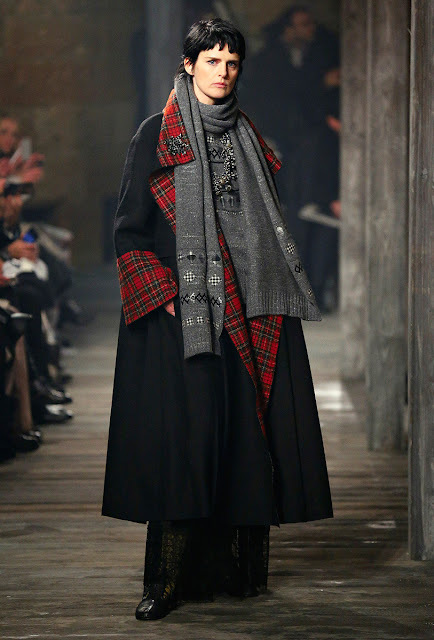 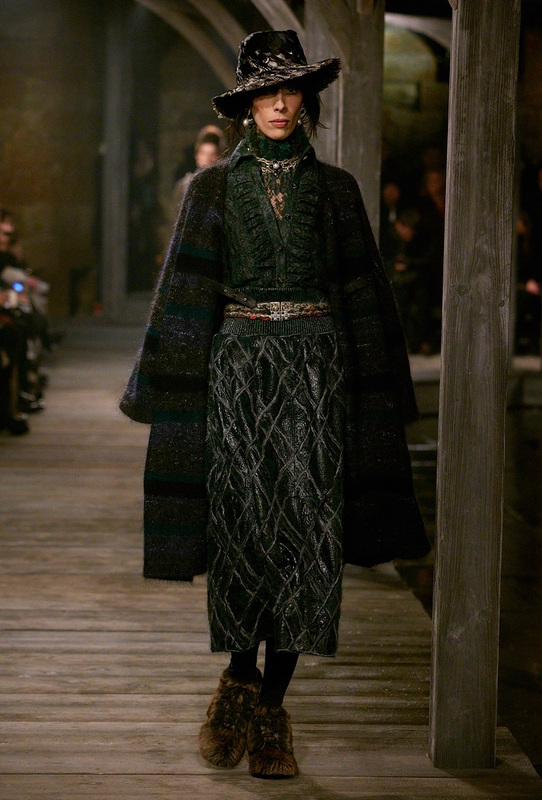 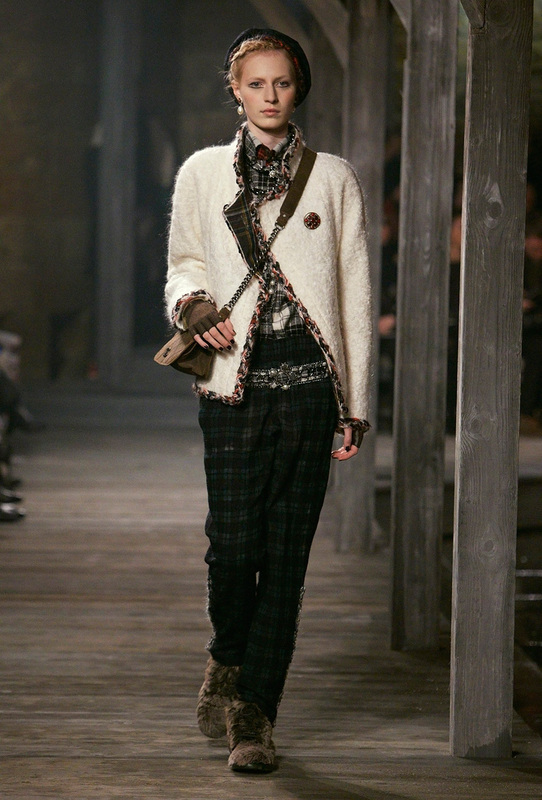 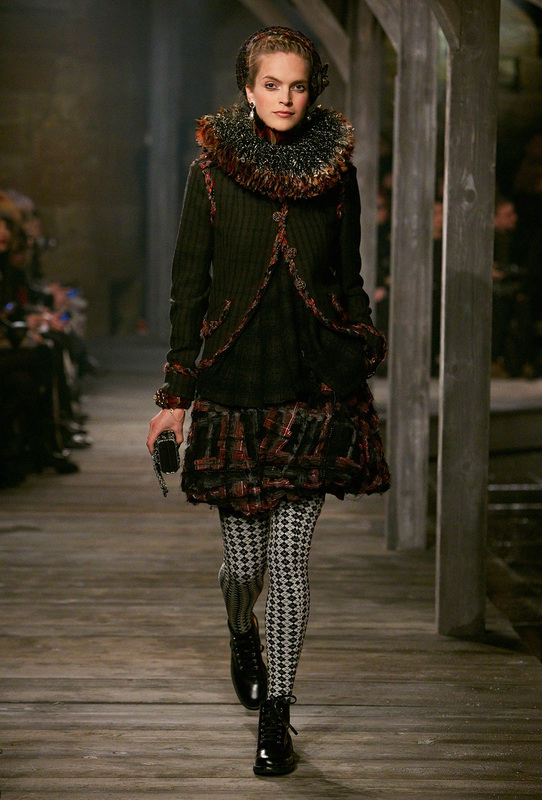 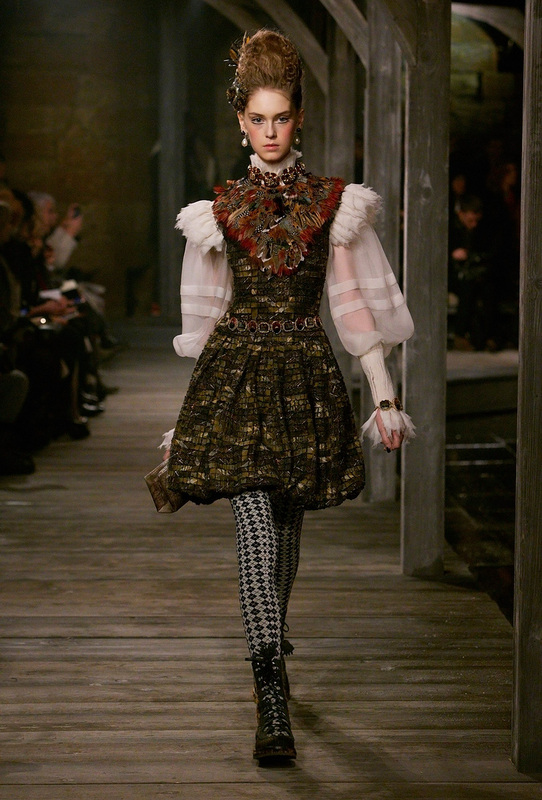 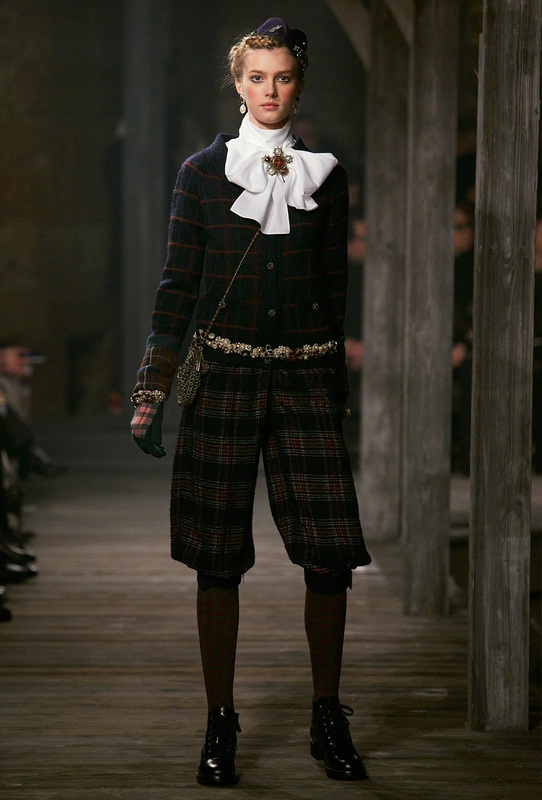 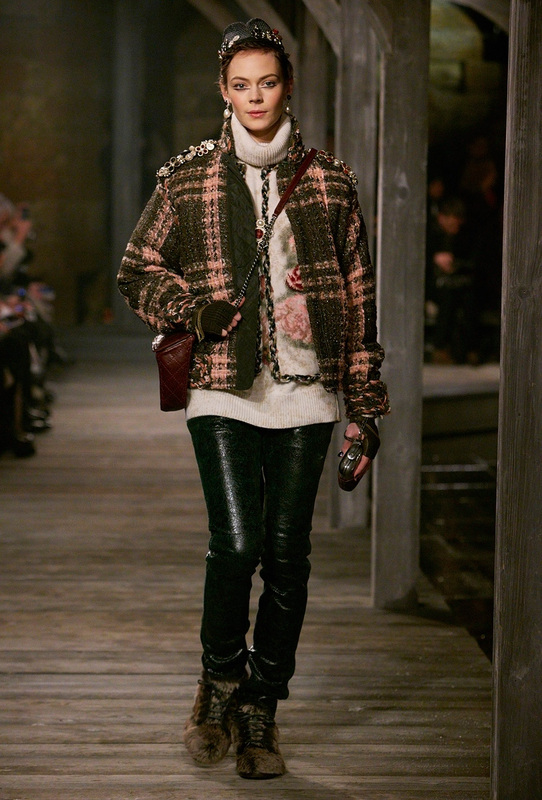 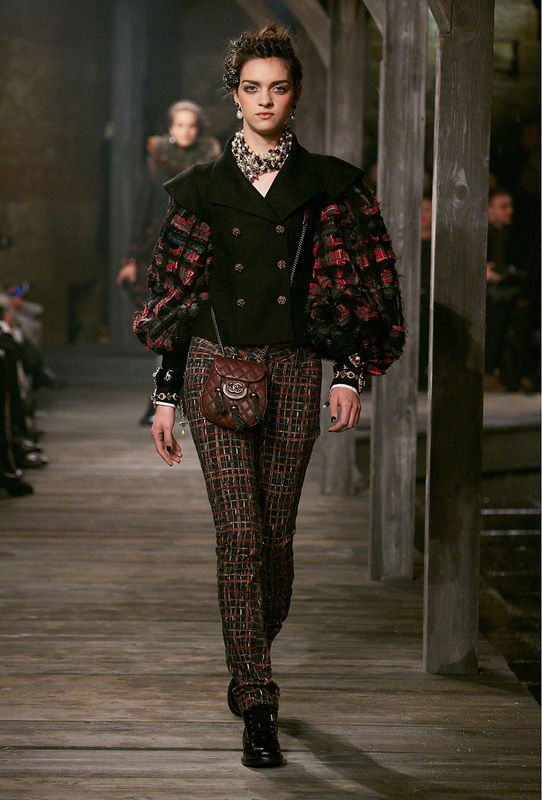 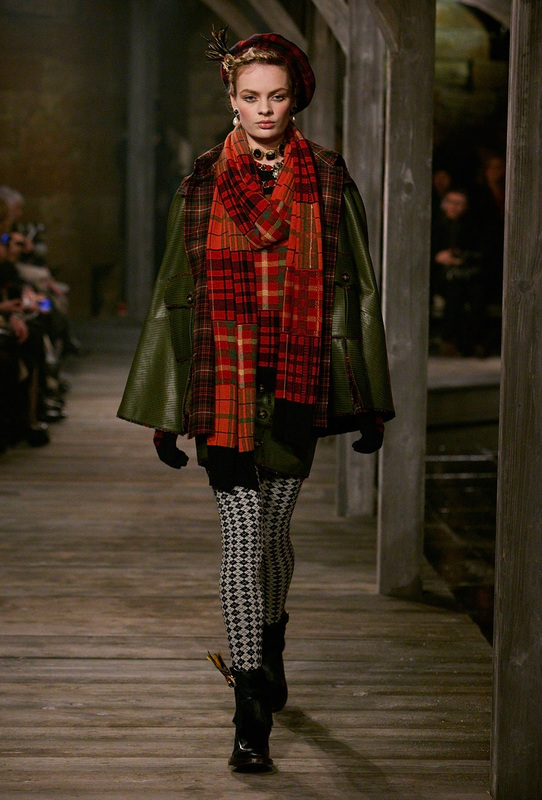 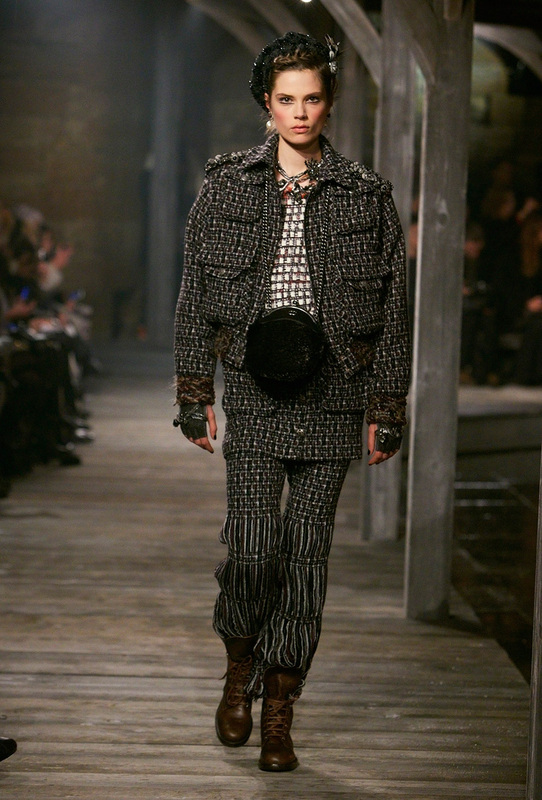 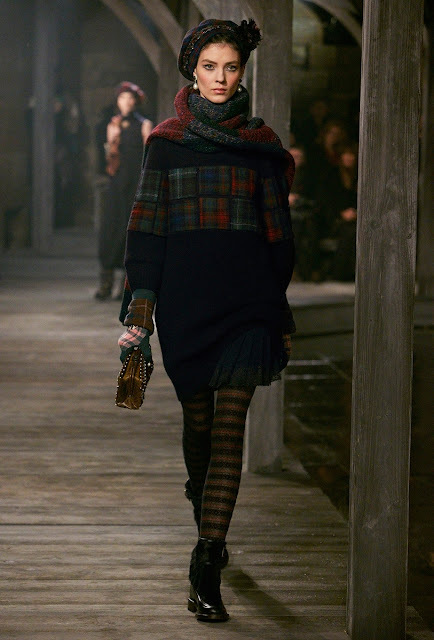 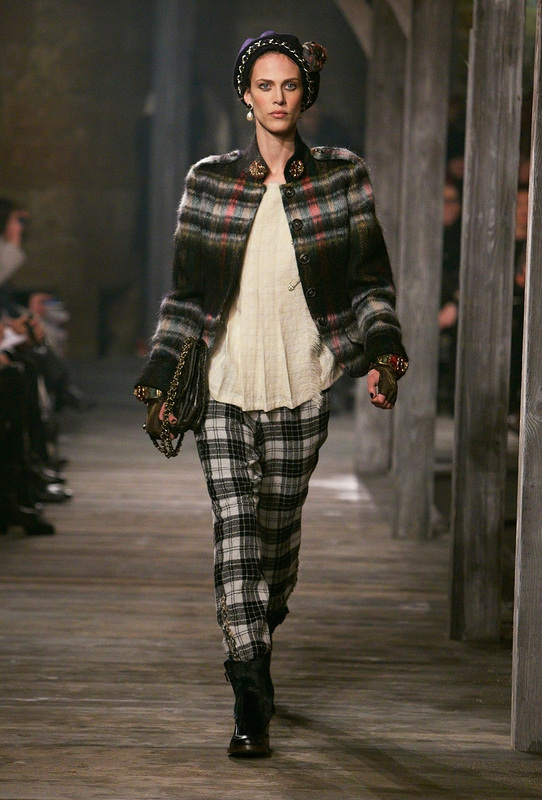 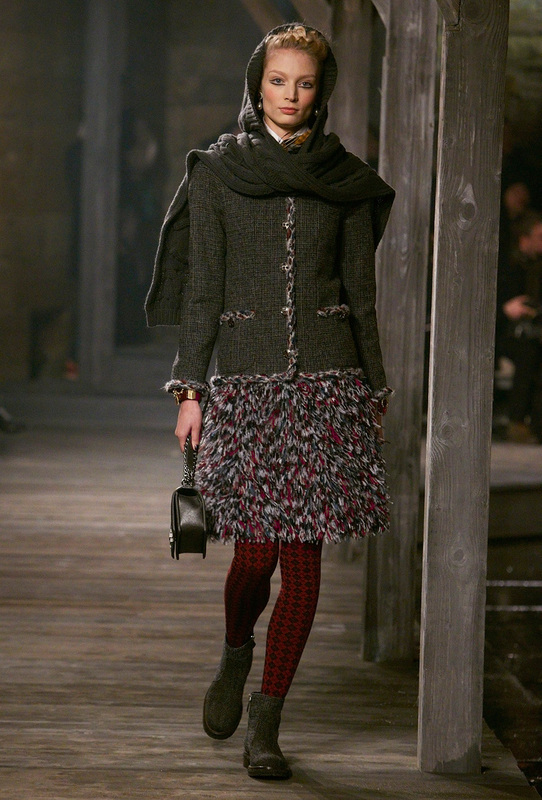 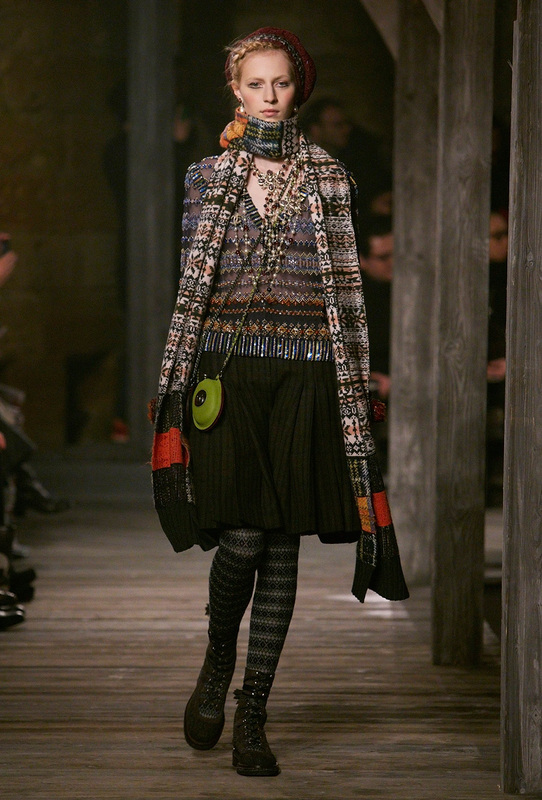 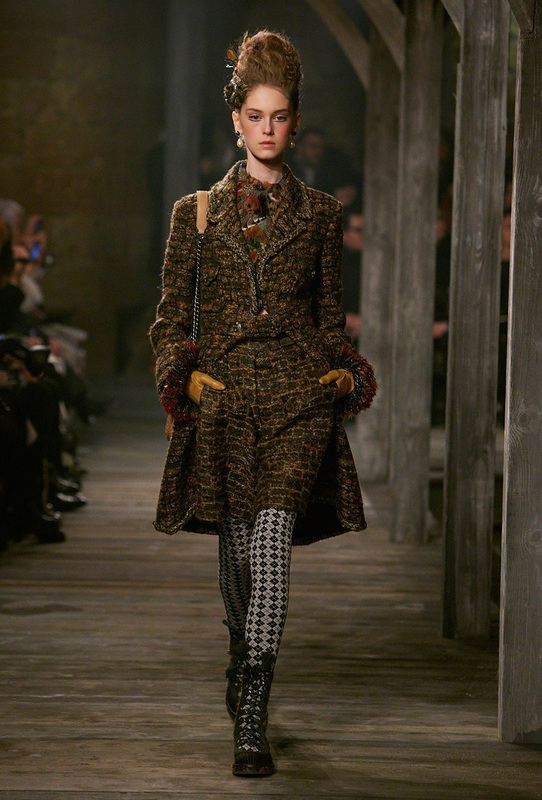 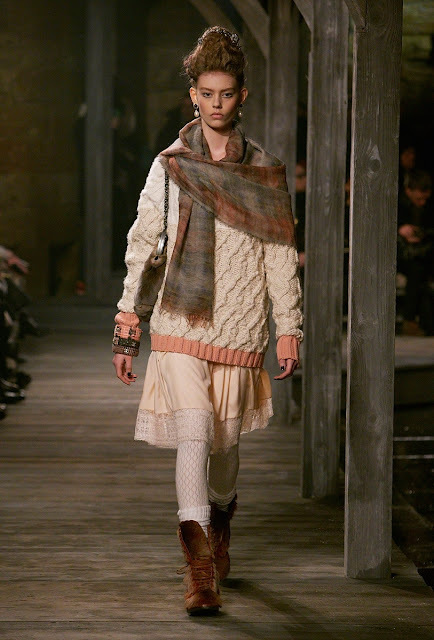 That a young girl like Edie Campbell can look so great, as well as so comfortable and at ease, when she walked out in a little kilt, with her hands thrust into the pockets of a weightless green leather coat and an elongated Chanel cardigan, is a testament both to her genius and Karl Lagerfeld’s knack for relevance.